Zakouma National park was, until 2008, a dry season concentration area for one of the largest elephant populations in the central African region. However massive poaching caused the elephant population to plummet from approximately 3,9000 animals in 2005 to just 450 in 2010. Since African Parks assumed management of Zakouma in late 2010, an intensive anti-poaching program me has been implemented. As a result elephant numbers have stabilized and elephant calves have been observed for the first time in many years. 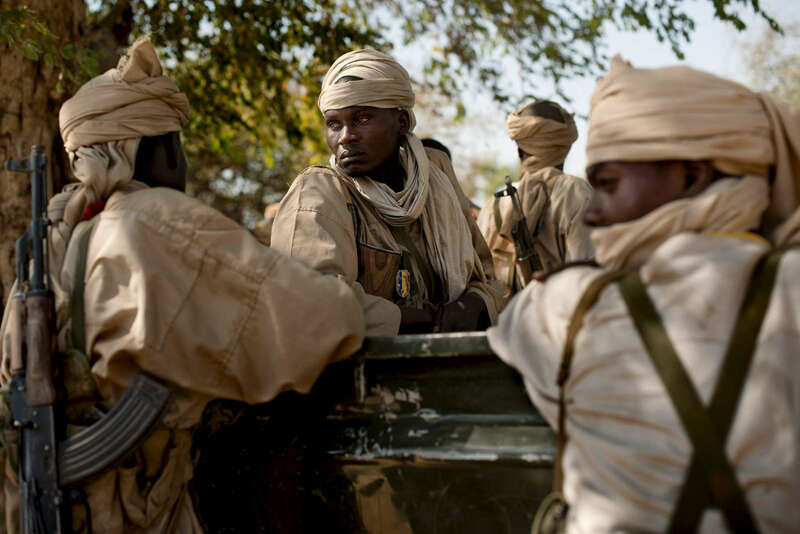 // With growing insecurity in the region, particularly CAR, representatives and soldiers from the Tchadian National Nomadic Guard came to Zakouma to discuss security matters as a precaution for poachers and militias potentially crossing into the park.